Back in the mid to late 1960’s and early 1970’s, a group of Frankenmuth families would each rent a cabin at a resort on Drummond Island. The goal was to spend a week fishing. For me, it was the highlight of the summer…going on vacation and spending time with friends…well, sort of anyway! 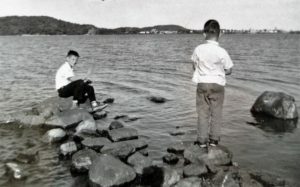 My father, the great fisherman, had no time for playing tourist or visiting locations that were of the tourism nature. I had to beg to get him to pull off the expressway in St. Ignace so I could climb Castle Rock, which at the time only cost him a dime! Castle Rock rises almost 200′ above the surrounding area and offers breathtaking views. The rock rises like an ancient castle of the middle ages. If you go, be sure to bring your camera when you make the climb to the top. In the evenings, the parents always gathered to play cards, which left the kids to find their own entertainment. As we got older and some of us obtained a driver’s license, we would all pile into a car and drive to the Drummond Island dump to watch for the bears coming to forage. But one year, my dad to two weeks of vacation promising to do more than just fish. After all the friends left, we actually got to play tourist and visited the thundering Tahquamenon Falls and historic Sault Ste. Marie. I was impressed to learn that “The Soo” (it’s nickn ame) is the oldest city in the mid-west and was named after the Virgin Mary by the Jesuit missionaries living in the region. 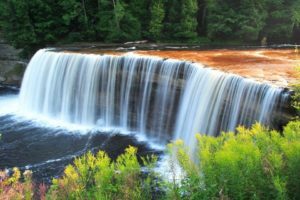 As for the mighty Tahquamenon Falls – they were and still are, magnificent. And watching a Great Lakes freighter go through the locks was awfully cool too. Did you know that more tonnage passes through the Soo Locks than the Panama and Suez Canals combined? 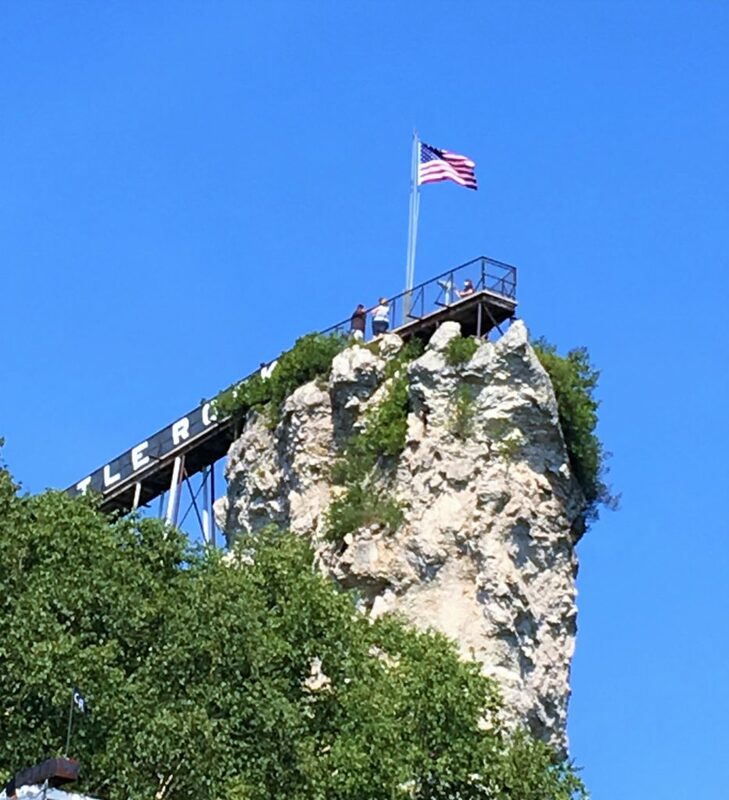 I have to admit I was in my mid-30’s by the time I visited Mackinac Island for the first time. Why did I wait sooooo looong? If you visit, you’ll see why it’s the top attraction in the state. An island where no cars are allowed. Only bicycles and horse drawn carriages. No wonder it was voted by National Geographic Magazine as one of the top ten most beautiful islands in the world? What are you waiting for? “Giddy Up” to the island this summer.